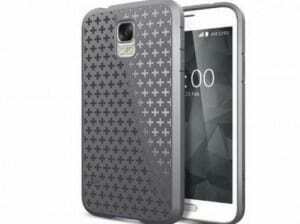 Samsung S5 Prime a rumour or reality? There were some rumours saying that a premium variant of the Samsung Galaxy S5 will be launched. Today a report came out saying that S5 Prime is a possibility, and will be launched in June. The name of the device is SM-G906S and it just apperead in official documents. These documents are for the Find My Mobile service Samsung offers. This new model is listed as one of the S5 variants that will be supported by the service. Samsung SM-G906S will have a QHD with a 2560×1440 resolution. If it is true this new model will be S5 Prime and will be launched in June. The device will feature a Snapdragon 805 CPU with a 2.5 GHz processor. Also, it will have a 3 GB of RAM with 32 GB of storage and microSD slot card. The camera will be the same 16 MP. All this sounds like a higher version of a Galaxy S5. But will all these rumours on the market, we think is better to expect for some official information before saying out loud that this is the new Samsung Galaxy S5 Prime.